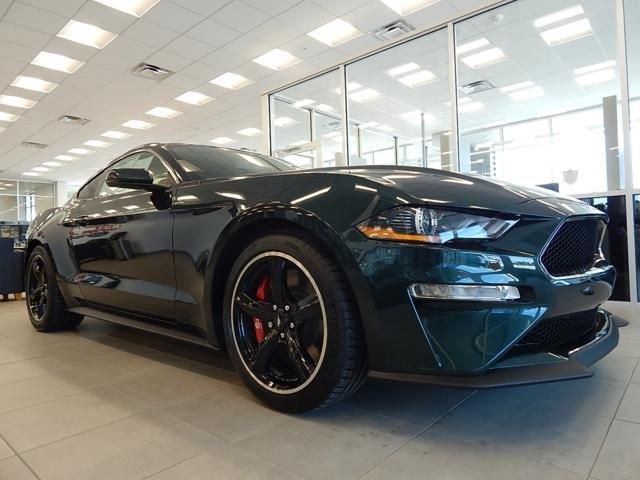 Only 2 Bullitt models left in stock! 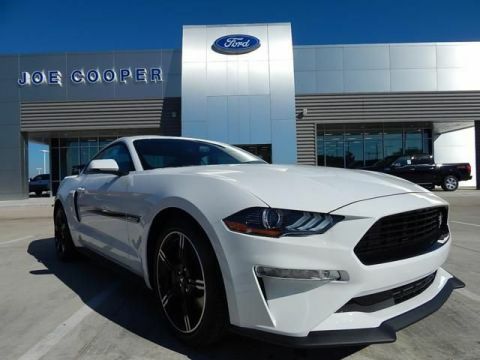 $3,165 off MSRP! 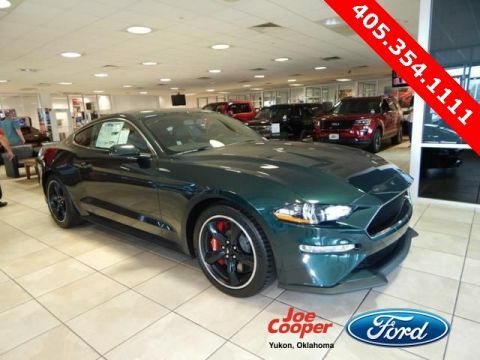 Joe Cooper Ford of Shawnee is honored to offer this good-looking 2019 Ford Mustang Bullitt in Dark Highland Green Metallic. Well equipped with BULLITT Electronics Package (Blind Spot Info System w/Cross-Traffic Alert, HD Radio, Memory Driver Seat, Mirrors & Ambient Lighting, SiriusXM Radio, SYNC 3 Communications & Entertainment System, and Voice-Activated Touch-Screen Navigation System), Equipment Group 500A, 4-Wheel Disc Brakes, 9 Speakers, ABS brakes, Air Conditioning, Alloy wheels, AM/FM radio: SiriusXM, AM/FM Stereo, Auto-dimming Rear-View mirror, Automatic temperature control, Brake assist, Bumpers: body-color, Climate Controlled Heated/Cooled Front Seats, Compass, Delay-off headlights, Driver door bin, Driver vanity mirror, Dual front impact airbags, Dual front side impact airbags, Electronic Stability Control, Emergency communication system: 911 Assist, Exterior Parking Camera Rear, Four wheel independent suspension, Front anti-roll bar, Front Bucket Seats, Front Center Armrest, Front dual zone A/C, Front fog lights, Front reading lights, Full Vehicle Cover (Dealer Installed), Fully automatic headlights, Garage door transmitter, Heated door mirrors, Heated front seats, Heated steering wheel, Illuminated entry, Knee airbag, Leather-Trimmed Bucket Seats, Low tire pressure warning, MagneRide Damping System, Occupant sensing airbag, Outside temperature display, Overhead airbag, Overhead console, Panic alarm, Passenger door bin, Passenger vanity mirror, Power door mirrors, Power driver seat, Power passenger seat, Power steering, Power windows, Radio data system, Rear anti-roll bar, Rear Parking Sensors, Rear window defroster, Remote keyless entry, Security system, Speed control, Speed-sensing steering, Speed-Sensitive Wipers, Split folding rear seat, Steering wheel mounted audio controls, Tachometer, Telescoping steering wheel, Tilt steering wheel, Traction control, Trip computer, Turn signal indicator mirrors, Variably intermittent wipers, Ventilated front seats, and Voltmeter. 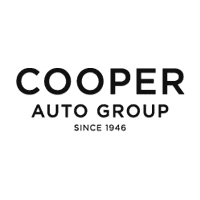 The Cooper Auto Group has been earning your trust since 1946 and at Joe Cooper Ford of Shawnee we are proud to keep serving you in that same tradition. 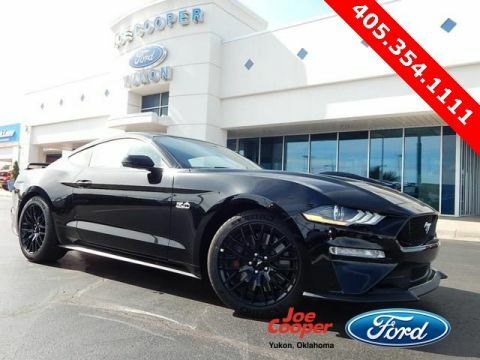 Stop on in and see us any time, our dealership is located at 4921 North Automall Drive in Shawnee, OK where we're just a short drive from OKC.